Anywayz, I've got quite some stuff listed up for today. Starting with - it's the 26th of the month, and I'm over at Tabitha Blake's Nocturnal Nights blog for my monthly Agony Zee slot. Check it out! 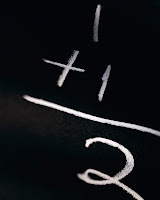 I received queries about editing and the editors' job, which I am answering over there. If you ever wanted to know what goes on behind the title 'editor', drop by there and read all about it. Now, something else I have set up for today pertains to the Immortal Blog Tour. 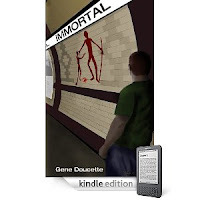 Remember, last week I hosted a leg of author Gene Doucette's blog tour, and I posted a review of Immortal (read it here). Surviving sixty thousand years takes cunning and more than a little luck. But in the twenty-first century Adam confronts new dangers: someone has found out what he is, a demon is after him, and he has run out of places to hide. Worst of all, he has had entirely too much to drink. IMMORTAL is a first person confessional, penned by a man who is immortal but not invincible. In an artful blending of sci-fi, adventure, fantasy and humor, Immortal introduces us to a world with vampires, demons and other "magical" creatures, yet a world without actual magic. It is a contemporary fantasy for non-fantasy readers and enthusiasts alike. Well, today I have something a little special, because Adam, the Immortal himself, has agreed to answer some of my questions. This made for quite a lively discussion. Where in the world do you think you're from? Somewhere on the continent of Africa, but obviously I can’t give you a more exact location than that. I doubt the place is still there, if it ever qualified as a “place” at all. 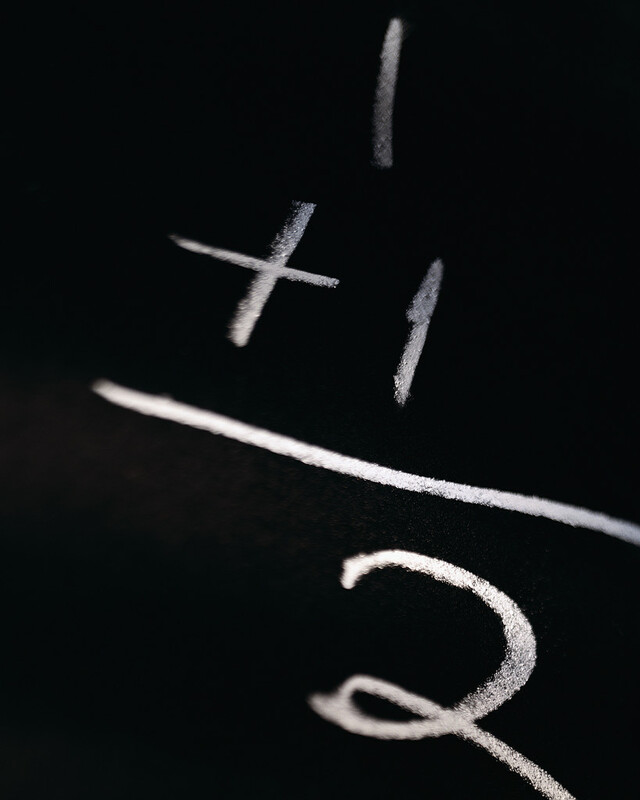 How hard is it to adapt, since you're not exactly the kind who can perish if you don't adapt? Oh no, no, I have to adapt, and I will certainly perish if I don’t. Getting along without worrying about aging or getting sick is nice and all, but beyond that I still need food and drink and shelter, and I will die if you thrust something pointy into me just like anyone else would. The only way I could have possibly survived all this time was by insinuating myself into whatever human culture happened to be local. And this meant adapting, often quickly. I’ve had to figure out a lot of things on the fly and become very good at both picking up new languages and reading body language. And stay out of losing causes. If I happened to be a part of a tribe that was clearly on the verge of being wiped out by another tribe, I had no problem with switching clothes and jumping over to the other side of the line, as it were. Any possibility you spent extensive time in England, coz your tone and humour remind me of British irony and wit. I certainly did, but I believe the humor thing is a parallel development. It’s tough to analyze one’s own sense of humor, as it’s something that one doesn’t typically work at, but I would say that broad, bawdy humor is very much a culturally specific thing. The Sumerians used to think it was hysterical to hang a guy by his own lower intestine, but you hardly see that sort of thing any more. Likewise, I don’t get the Three Stooges at all. It’s also possible that sarcasm and high irony stem from an innate sense of superiority, which is something I share with the British. What's the deal with drink? I like to drink. It’s what I do when there isn’t anything else to do, and “there isn’t anything else to do” describes a surprisingly large part of human history. Let me amend that. It describes a large part of “civilized” history. Alcoholic drinks weren’t invented until after leisure time was invented, and that didn’t happen until after we all figured out how to go from hunter/gatherer to farmer. Feeding oneself is a full-time job when you are entirely responsible, all by yourself, for turning a living thing into an edible thing. When you have someone else doing part of that for you, there’s more time to have a drink. Anyway. Alcohol is the very best community-building device ever invented. You asked before how easy it was to adapt: drinking is a huge component. Historically, getting drunk with someone was the very quickest way to become friends. It cuts through nearly every social more. Figured an immortal would be a womanizer (picking up secrets of women's psyche after all this time!) but you don't seem to be. Any reason why? That largely depends on what you mean by “womanizer.” I get my share, certainly. I’m not a cad, or a rake, or whatever we’re calling men now for whom conquest of women is a goal of some kind. I will pursue someone if I think there’s a spark there, but I’m obviously not looking for anything long-term, so it’s much easier for everyone if the woman in question isn’t looking for that either, or at least isn’t looking for that from me. As to figuring out the woman’s psyche, I’m as good as anyone at interpreting both genders, but I don’t think I have any special insights into women specifically. I do know clubbing them on the head and dragging them off is no longer appropriate. Could this be because of the red-haired woman? You mean am I behaving like a better person because of her? Or am I saving her because of some sort of “true love” thing? Nothing like that. I don’t believe in true love. I do believe in contingent love and conditional love, and even long-term love, but since I don’t believe in fate or any particular spirituality the idea that there is one person out there that is The One is just… too fantastical to me. The whole “happily ever after” idea is entirely Walt Disney’s fault, I’m convinced. I have lived “ever after” and it’s simply not possible to be happy for all of it. What's next for you now, and your 'association' with Gene? For me personally, I have to sit down with Gene again and run through a general idea of what the third book is going to involve. The second book, Hellenic Immortal, is essentially finished, at least as far as I’m concerned. But you want a hint about the next book. Um… I haven’t read it yet. But the stories I’ve told involve Athens, Las Vegas, and upstate Washington. There is at least one werewolf. And Gene will be posting a sample chapter—he said he thinks it might be the prologue but can’t decide—at the end of this tour. And I can't wait for this sneak preview at Hellenic Immortal! This is one series that has me hooked. Thanks for answering my questions, Adam. Who said gentlemen are extinct now? You've been the perfect example of this rare breed. And that's it for me today, folks!